There’s a new yoga studio in town, and while it does help you find your inner peace, there’s a lot more to it. The Movement Sanctuary, based out of Bandra, also has a flotation therapy centre called the Liquid Sanctuary right next to it. So, while you can have a yoga class in one centre, you can also float in a pool and rid yourself of the soreness after a good workout. 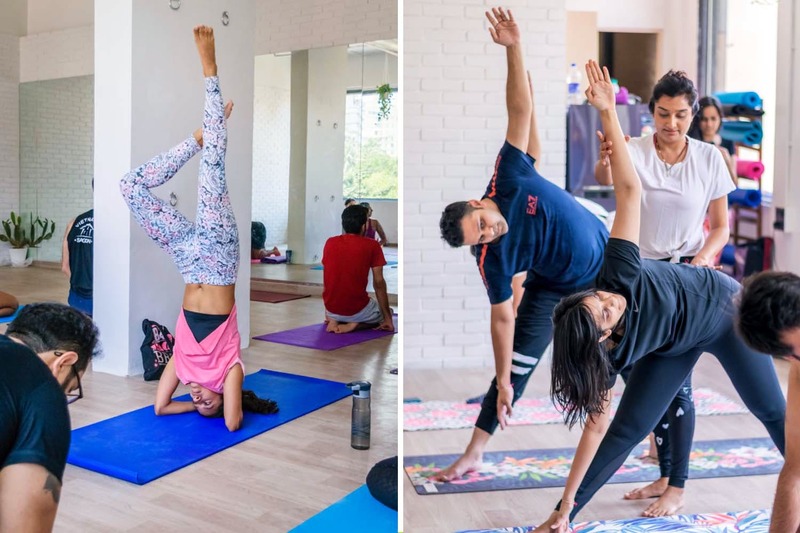 Right from traditional Hatha yoga and Ashtanga classes, Power yoga to yoga trapeze, pole fitness (coming soon), pilates (coming soon) to even functional movement, meditation and Yin yoga; there’s a lot that you can choose to do and experiment with. Apart from this, their flotation centre involves you floating in a pool that is infused with Epsom salts and Dead Sea salts, which allows you to float effortlessly with zero gravitational pull. They have two different types of packages, the Sanctuary Access Pass (INR 5,500 for 8 classes; INR 7,000 for 12 classes; INR 11,000 for 20 classes) and the Teacher’s Sanctuary Class Pass (INR 5,000 for 8 classes; INR 6,500 for 12 classes; INR 10,000 for 20 classes.) The Sanctuary Access Pass lets you attend any class with any teacher; while the Teacher’s Sanctuary Class Pass lets you attend a specific teacher’s class. They currently have a monsoon special discount going on where all the above prices for class packages are INR 1,000 off for 1-2 months. So, book yours already!